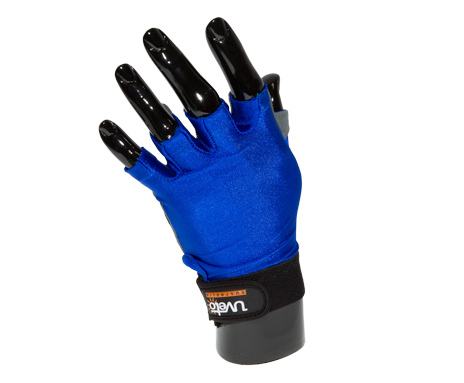 The Sun Safe Glove is a multi purpose fingerless glove that protects the back of the hand while giving the wearer added grip on the palm. The Sun Safe Glove is designed to help protect the hands from sun exposure while at the same time providing finger dexterity. 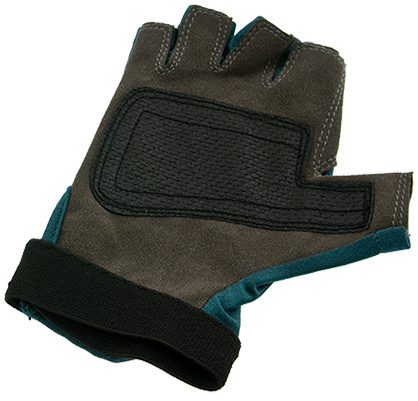 Made of quality material, the Sun Safe glove is easily washable, adjustable, and it is also UPF rated where you need it. 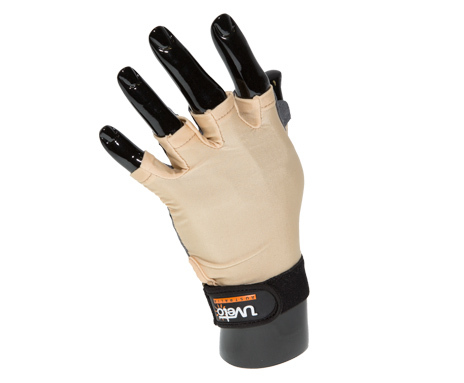 The Sun Safe Gloves also include a palm patch for extra grip. 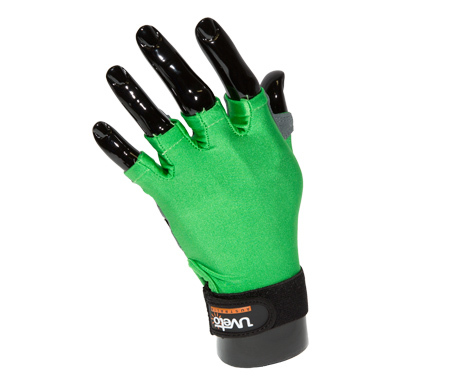 These gloves are great for work and play! Available in three sizes: Small, Medium, and Large. Available in three colors: Green, Skin, and Blue. 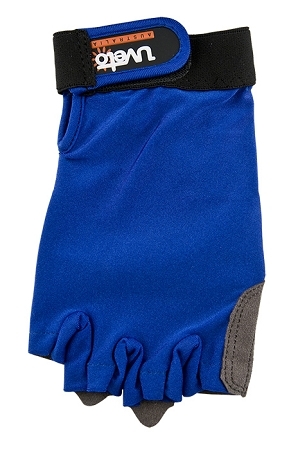 You can help keep up with your Sun Safe Gloves with a Handi Klip® or Glove Guard® clip.